On December 31, 2011, the last over the counter epinephrine asthma inhalers containing chloroflourocarbons (CFCs) will be removed from the market and consumers who rely on them will be forced to switch to more expensive CFC free alternatives. CFCs are an aerosol type substance that depletes the ozone layer and this move by the FDA is in accordance with the 1987 Montreal Protocol where 26 nations pledged to eliminate these chemicals. These CFC free “green” inhalers are available by prescription only. Not only will consumers have to pay for a doctor visit to obtain them, but they will also have to fork out anywhere from $10-$50 more per inhaler, in some cases triple the current price! Will this elimination of CFC inhalers actually help the environment? Edward Parson from the University of Michigan, an expert on ozone regulation, wholeheartedly concurs. He says the beneficial environmental impact of removing the cheaper inhalers from the market will be “tiny”. As it turns out, the new “green” inhalers aren’t even really green! The propellants used are hydrofluorocarbons (HFCs) which are considered powerful greenhouse gases. Score another one for Big Pharma. By spending only $520,000 lobbying the FDA between 2005 and 2010 to eliminate the cheaper inhalers, off brand competition has been completely eliminated simply by hiding behind a pseudo-green facade. No worries though. 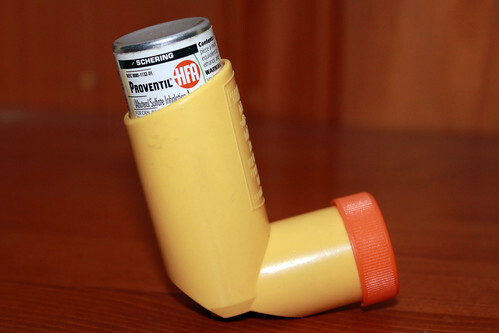 The patents for the new CFC free inhalers will expire in only about 6 years. Prices should go back down then when generic brands hit the market once again. In the meantime, Big Pharma will rake in about $8 billion in additional revenue from a captive and dependent consumer along with insurance companies and the US government. $520,000 spent on lobbying plus $1 billion to develop the “green” inhalers compared to $8 billion in additional revenue gained. An insanely good return on investment in only 6 years. Ah, helping the environment can be such a profitable endeavor.